In the Nineteenth Century, Christian missionaries directed their attention to unexplored regions, greatly expanding their endeavors. Colonialism brought increased knowledge of Africa and Asia, and the European and American churches extended their work into these areas. Missionary activities were important in the political, economic, educational and social fabric of many countries. The spreading of medical knowledge, the building of hospitals, missionary schools, the promotion of Western learning, history and international law were some of the examples. In American churches, the evangelistic impetus of the revival period carried circuit riders to the frontiers. 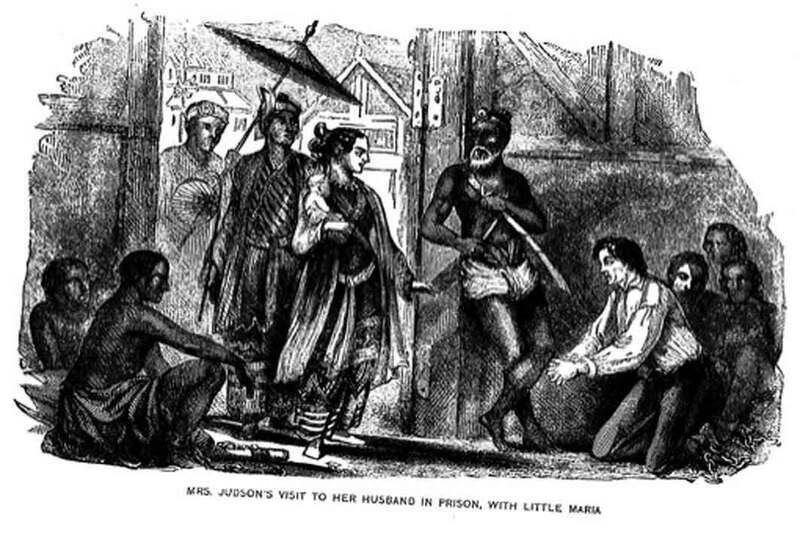 The China trade and the slave trade had introduced Americans to the Far East and Africa, and the churches sent workers to start schools and hospitals as well as to preach in these areas. Prominent in this work were such organizations as the American Board of Commissioners for Foreign Missions, the American Presbyterian, the Baptist Burmese Mission, and the Methodist Episcopal Church Missionary Society. Denominational boards, the Salvation Army, other agencies, some of them related to the World Council of Churches, and individuals belonging to such mission-oriented groups as Jehovah’s Witnesses and the Mormons continue the work today, that was started in the 19th century. This project focuses specifically on American Baptist Missionary efforts in 19th & 20th century Burma. Working in conjunction with Axis Maps, this initiative will build a cartographic narrative of American Baptist Missionary activity throughout Burma at the turn of the century. Digitizing diaries, journals, newsletters, and artwork we hope to create both a digital archive and robust pedagogical tool for teaching and learning.